The good news is that troubleshooting browser problems isn’t too difficult—indeed the process is similar for a lot of the issues you’re going to come across. Today’s browsers come with a variety of built-in tools for self-repair too, so you should be able to get everything running smoothly again within a short space of time. Is an extension dragging down the performance of your browser? Disabling add-ons one by one is something you can try to see if it has any effect—More tools then Extensions from the Chrome menu, Add-ons from the Firefox menu, Extensions from the Edge menu, and Preferences then Extensions from the Safari menu. In all cases it’s the cache and the cookies you want to focus your attention on. In Safari, the cache option is hidden—you need to go to the Advanced tab in the Preferences pane, then tick Show Develop menu in menu bar. Then open up the newly revealed Develop menu and pick Empty Caches. If you’re still experiencing problems, uninstall and reinstall your browser—if a clean reinstall doesn’t work, something besides the browser might be affecting performance. That something could be malware, which we’ve discussed more in tip 6 below. It’s worth mentioning that Firefox has a couple of useful extra options for resetting your browser and limiting extensions—if you pick Help then Troubleshooting Information from the menu, you can click Refresh Firefox or Restart with Add-ons Disabled to see if it makes a difference. 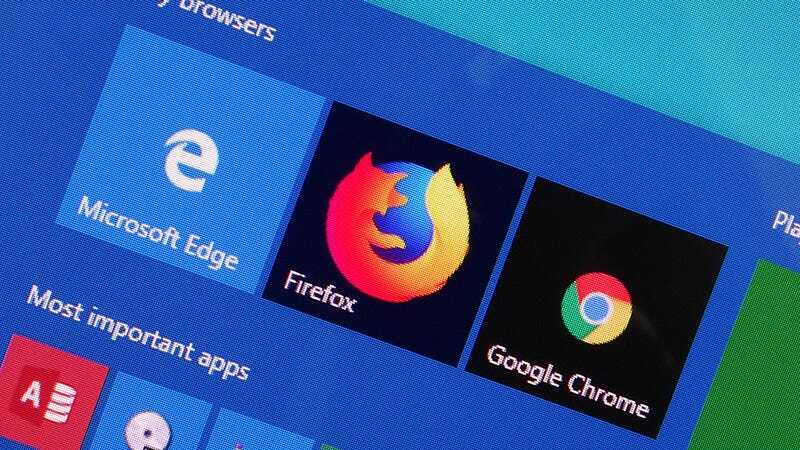 For Edge, Safari, Chrome, and Firefox, you can dive into your browsing history and remove the single site on its own, if you can find it—but the browser bar option might be easier if there’s one particular suggestion you don’t want to see, and you don’t want to turn off the auto-suggestion feature altogether. If you manage to narrow down the source of the problem to your browser, try clearing the local file cache, as we described in tip 1 above—this will force the program to reload everything on the page and should fix the issue. If not, systematically disabling extensions one by one (see tip 1), or uninstalling and reinstalling your browser are usually enough to get everything working properly again. If the feature is indeed enabled, it’s the usual suspects that might be to blame—corrupted data somewhere in the browser’s logs, or a third-party extension interfering with the functionality (especially a form filler or password manager). Clear the cache and check your add-ons as laid out in tip 1, and if you do identify an extension that’s causing problems, see if there’s an update for it rather than removing it completely. As a general rule, keep everything up to date—your device drivers, your other software, your operating system as a whole. This should help to minimize compatibility problems and stop anything else from interfering with your browser. The culprit might have installed itself as an extension or as a separate program, or it might be completely hidden from view—use whatever antivirus software you’ve got installed to run a thorough scan for problems, and for an extra sweep run a no-install, on-demand scanner as well (like Microsoft Safety Scanner or ClamWin Portable). We’ve solved problems like this in the past by purging our browser of cookies and cached data, so follow the instructions we laid out in tip 1 if you’re still having problems with overbearing pop-up windows. An ad-blocker app might help you to reign in some of the worst offenders and maybe identify the root cause at the time same, but just remember to whitelist your favorite sites. Problems with your internet will often go way beyond your browser but if you are only having connectivity problems on one device or in one browser application, you might need to dive in and do some troubleshooting—it’s possible something is hogging your connection, maybe a browser extension or even a malware program. When your homepage keeps changing without your permission, even after you’ve set it back several times, this is a sure sign that an extension or a rogue piece of malware is ignoring your wishes and directing you somewhere else—possibly to a site that’s built to earn affiliate clicks, or to further infect your computer.